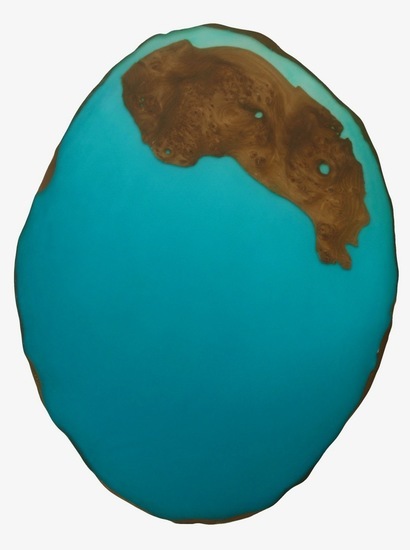 When I see burl wood it always make me think of some landscape, seen from a bird’s eye view.. Like an island in the ocean. This piece has a irregular shaped crust, witch makes it look a bit like slice of a mineral.. the surface is smoothly polished. This piece is smoothly polished, with a ready to hang system on the back.